Justin Lee Althuler talks to Kimberly Daxon about the Dawson Academy, juggling family life and complete dentistry. Originating in St Petersburg, Florida, the Dawson Academy now has an international presence with teaching facilities in Virginia, Chicago, California,Japan as well as here in the United Kingdom. We have all heard the saying:’Give a man a fish and you’ve fed him for a day. Teach a man to fish, you’ve fed him for a lifetime.’ But if you teach a man to teach men to fish, you’ve fed the world. Faculty member Kimberley Daxon believes this is at the heart of the Dawson Academy, saying: ‘It’s about doing the right thing for people who need our help.’ Here, she talks about how the academy has shaped her life. How did you come to be part of this well-respected dental academy? I have been involved with the Dawson Academy since joining Dr Dawsons’ practice in 1998, which was soon after I finished my prosthodontic residency. In 1998, Dr Dawson was retired. Drs. Pete Roach, Glenn DuPont and DeWitt Wilkerson with Dr Ken Grundset were there to carry on his legacy.  Dr Jeff Scott joined soon after I did, and we all practiced together for 12 years at The International Center for Complete Dentistry. In 2010, our practice split into three smaller practices. My practice is now known as Daxon Dentistry. What was it about Dr Dawson’s philosophy that attracted you to the academy? The Dawson Academy has had the most profound influence on me – both personally and professionally, more than any other dental institution. Dr Dawson’s time tested clinical principles are sought by many because he teaches us how to solve our patients’ problems with confidence, predictability and success. He helps us to understand that if the teeth are not in harmony with the TM], something is likely to breakdown. We learn how to identify signs of instability before symptoms develop, which leads to better care and stability for our patients. Having three small children and a husband who travels frequently, life balance is a constant struggle but his influences have impacted my life in a way I could have never imagined. What is your dental educational background? I completed my DDS degree at the University of North Carolina at Chapel Hill. I then moved to Boston and did a one-year general practice residency at Brigham and Women’s Hospital and a two-year prosthodontics program at Harvard School of Dental Medicine and the Veteran’s Administration. One week after my residency, I got married and moved to Tampa. I joined a general dental practice as an associate and soon took my first Dawson class. The light bulb went on and I quickly realized I was not in the right practice. I made plans to start my own but soon received a phone call from Dr Glenn DuPont, asking if I would be interested in an associate position available in their practice. He had me at ‘hello’! How did you feel about moving into the practice of a world-renowned and respected teacher/practitioner? So many words come to mind… honored, proud, lucky, humbled, nervous! Having studied Pete’s concepts in dental school, I was familiar with his teachings but did not know he was from St Petersburg, FL. Living in Tampa, I had a logistical advantage but had never thought in a million years that I would be offered this opportunity. What services does your practice offer to patients? My former partner, Dr Ken Grundset, and I practiced together for 14 years now and providing restorative dentistry services. Ken places implants and provides sleep medicine dentistry. I love removable prosthodontics and have had tremendous success using Dr Jack Turbyfill’s complete denture technique, which also incorporates the centric relation philosophy that Dr Pete Dawson teaches. What principles have you applied in your practice that simplify your life? Being organized with my schedule is a priority- every Sunday, my husband and I sit down together to review the schedule for the week so we know who’s on first. Blocking my practice schedule in advance for school performances, sports events etc allows me to fulfill my role as a mother- I think that is one of the best things about dentistry – we are able to have the flexibility to do the things that are important to us! 4. Have slow but steady improvement for each part of the practice. It has been transformative for me to understand these principles from the earliest stages of my professional career. I will be forever grateful for the teachings of Dr Pete Dawson and the Dawson Academy. What are you currently teaching for the academy? For the past five years, I have been teaching a two-day course for dental hygienists. This course evolved because dentists were struggling with implementation and getting their team on board with the concepts of complete dentistry. As dentists, we know the challenge of taking a course and then going back to teach our team what we’ve learned. My co-teacher and hygienist, Joanne Bailey, and I teach hygienists the same principles dentists learn about the masticatory system, signs of occlusal instability and, most importantly, how to talk to their patients about these things so they can accept the treatment needed to give them a healthy and stable occlusion. Hygienists have loyal and trusting relationships with patients and their role in supporting a complete care practice is invaluable. I am also a teaching assistant to Dr Scott Finlay in his ‘restoring anterior teeth’ course. I am excited to say our next course together will be in Japan! I love the smaller, more intimate classes where you can really spend time with the students, getting to know them on a personal level. Helping students learn and understand new concepts, sharing clinical experiences and seeing the light bulb go on, that’s what 1enjoy most! Teaching has also made me a better dentist and be more accountable to myself, to my team and to my patients. What final thoughts do you have for a dentist who has never been exposed to the concept of complete dentistry? Just do it!Take the first course and it will open your eyes to a whole new world of dentistry. Complete dentistry is predictable dentistry! It truly is life-changing and I can’t imagine practicing any other way. This article was published in Private Dentistry Oct. 2013 edition. Private Dentistry is a dental journal based in the United Kingdom.